50 per cent mortality in H. armigera were categorised into group I, II and III, respectively. Eight and fourteen new isolates of Bt were coming under the group of I and II, respectively. Whereas 48 new isolates of Bt were clustered under the group of III. The eight Bt isolates of group I gave amplification for one or more of the following cry genes viz., cry1, cry2 and cry9. The five different cry genes viz., cry1, cry2, cry3, cry4 and cry9 were found in 14 new isolates of Bt which is coming under group II. All the 48 isolates coming under group III did not show presence of cry3 gene. Among the 48 isolates, 20 isolates failed to give amplification for all the five cry genes tested. The remaining 28 isolates had one or more of the following cry genes viz., cry1, cry2, cry4 and cry9. The cry1, cry2, cry4 and cry9. Of the 70 new isolates, cry1, cry2, cry4 and cry9 genes were observed in 41.4 and 35.7, 12.8 and 15.7 per cent of the isolates, respectively. Ben-Dov E, A. Zaritsky A, Dahan E, Barak Z, Sinai R, Manasherob R, Khameraev A, Troyetskaya A, Dubitsky A, Berezina N, Margalith Y.1997. Extended screening by PCR for seven cry-group genes from field-collected strains of Bacillus thuringiensis. Appl Environ Microbiol. 63:4883–4890. Ben-Dov E, Zaritsky A, Dahan E, Barak Z, Sinai R, Manasherob R, Khameraev A, Troyetskaya A, Dubitsky A, Berezina N, Margalith Y. Extended screening by PCR for seven cry-group genes from field-collected strains of Bacillus thuringiensis. Appl Environ Microbiol. 1997;63:4883–4890. Bravo, A., S. Sarabia, L. Lopez, H. Ontiveros, C. Abarca, A. Ortiz, M. Soberon and R. Quintero, 1998. Characterization of cry genes in a Mexican Bacillus thuringiensis strain collection. Appl. Environ. Microbiol., 64: 4965-4972. Brookes, G and P. Barfoot. 2010. Global Impact of Biotech Crops: Environmental Effects, 1996-2008. AgBioForum, 13(1): 76-94. Chilcott, C. N. & Wigley, P. J. 1993. Isolation and toxicity of Bacillus thuringiensis from soil and insect habitats in New Zealand. Journal of Invertebrate Pathology 61,:244-247. Kalman, S., K.L. Kiehne, J.L. Libs and T. Yamamoto, 1993. Cloning of a novel cryIC-type gene from a strain of Bacillus thuringiensis subsp. galleriae. Appl. Environ. Microbiol., 59: 1131-1137. Kim, H.S. 2000. Comparative study of the frequency, flagellar serotype, crystal shape, toxicity, and cry gene contents of Bacillus thuringiensis from three environments. Curr Microbiol 41, 250–256. Patel, R. C., Patel, J. K., Patel, P. B. and Singh, R. 1968. Mass breeding of Heliothis armigera (Hbn.). Indian J. Entomol. 30, 272–280. Porcar, M. and V.P Juarez-Perez, 2003. PCR-based identification of B. thuringiensis pesticidal crystal genes. FEMS Microbiol. Rev., 26(5): 419-32. Ramalakshmi A, Udayasuriyan V 2010. 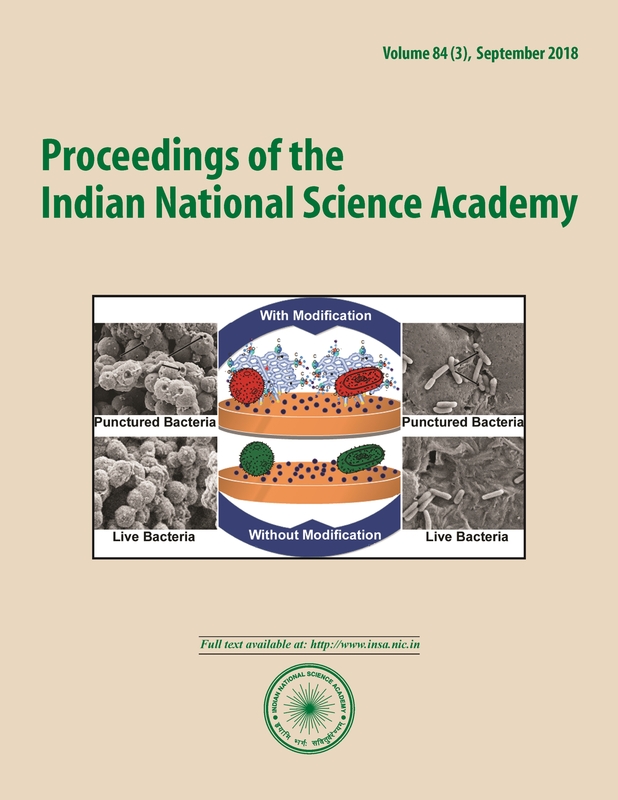 Diversity of Bacillus thuringiensis isolated from Western Ghats of Tamil Nadu State, India. Curr. Microbiol. 61: 13-18. Sambrook J, Fritschi EF and Maniatis T 1989. Molecular cloning: a laboratorymanual, Cold Spring Harbor Laboratory Press, New York.